Facebook has officially announced Facebook Places for the UK – an application that allows you to post location-specific information to Facebook. Places has been available on the UK Facebook app for a while - since it was launched in the US in August - but the link was dormant.It has now been activated. A link in the app allows you to check in wherever you are, making this a similar app to Foursquare. Once you check in you can see others on your network who have also checked in. 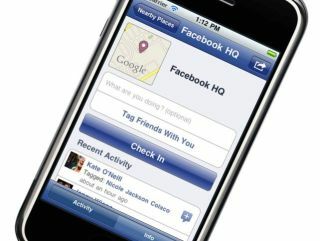 At a Facebook event in London, with TechRadar in attendance, Michael Sharon, Facebook product manager for Places, said: "Facebook is about real-world interaction, a place to share information about yourself with people you already know. "Places evolved over time, when we saw how many people were using their status updates to tell friend where they are and what they are doing. "It makes it easier to be more social, make it really easy to share where you are, discover new places, places you never knew about." When you do check in, this will be shown in your friends' News Feeds, and show up in the Recent Activity section on the page for that place.